Rid the world of an ancient artifact spreading disaster across the land. One clear sunny morning, peace at the Argonaut Agency was disrupted. A famous collector arrived suddenly with trouble on his heels. He asked for help in solving a problem with one of his artifacts. As it turned out, Pelias had accidentally opened Pandora's Box in his storeroom. Now a real cataclysm was forming above his home, and picking up speed, and Pelias himself was being followed by all the trouble and disaster of the world. Something had to be done at once. 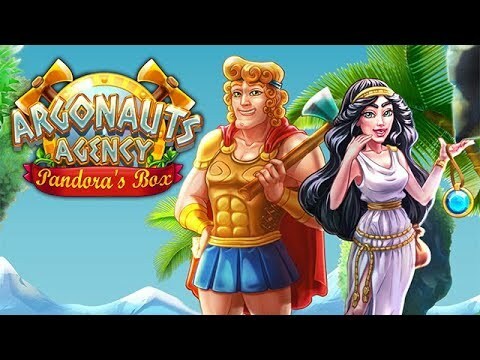 Featuring dozens of exciting levels, memorable characters and a multitude of different quests, help the Argonauts rid the world of Pandora's Box. It is a great game if you're sneaking around at school or work and just want a little break to stretch your mind. The kids will enjoy it too. I like the game very much. The graphics were nice. It didn't drag on and on, and it was fun. While similar to the other editions, this is by far the best. More strategy is required.